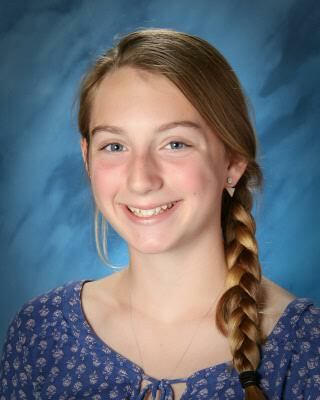 Ediger is an eighth grader at Northwood Middle School in Spokane, Wash. She participates in softball, volleyball and basketball, along with club soccer, ballet, youth group and summer science and sports camps. Already dealing with a full plate of sports and activities, Ediger is also Northwood’s ASB Vice President. She helped facilitate the “Think Kindness” campaign which helped raise donations of 1,700 shoes to send to families in Africa, along with helping to raise $48,000 for the school’s annual “Fund Run” which supplies equipment, uniforms and musical entry fees for students. Ediger has impacted Northwood both as an active student and as a role model for others. A competitor inside and outside of the classroom, Ediger has maintained an impressive 4.0 GPA. Athletic Director and science teacher, Patrick Round, narrowed Ediger’s strongest characteristics down to perseverance and positivity. “She always works her hardest and when she isn’t experiencing the level of success she desires, she remains positive,” Round said. Mueller is an eighth grader at Eatonville Middle School in Eatonville, Wash. He is a multi-sport athlete, participating in cross country, wrestling and track. 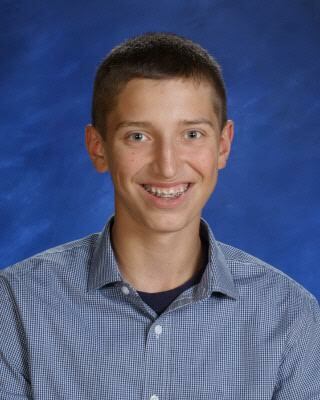 Mueller also is Eatonville’s ASB president, plays in the school band, is a member of the National Junior Honor Society and is the go-to mentor for new students at EMS. “Ryan lost his father in December and has displayed courage by continuing to work hard in the classroom, on the mat and as a leader here at Eatonville Middle School,” said Assistant Principal and Athletic Director, Eric Vannatter. Described as a fierce competitor, Mueller is often the first to congratulate an opponent after a match or race. His wrestling coach describes him as a role model for the other wrestlers based off of Mueller’s work ethic and coachability. He is constantly seeking out ways to make sure new and transfer students at the school are comfortable, including sitting with new students during his lunch period when they first arrive. “Ryan is a leader that is compassionate, caring and thoughtful,” said Vannatter.